Kailynn Bowling, Co-Founder of ChicExecs, discussed how retailers can use customer loyalty to outdo their competition on CEOWORLD Magazine. 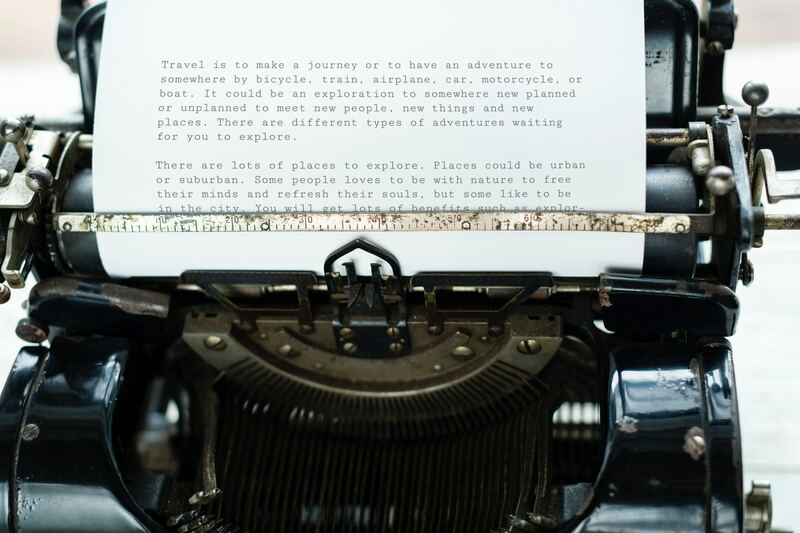 Learn how to create unique experiences that will not only bring in repeat customers but create raving fans that promote your brand by reading the full article here. 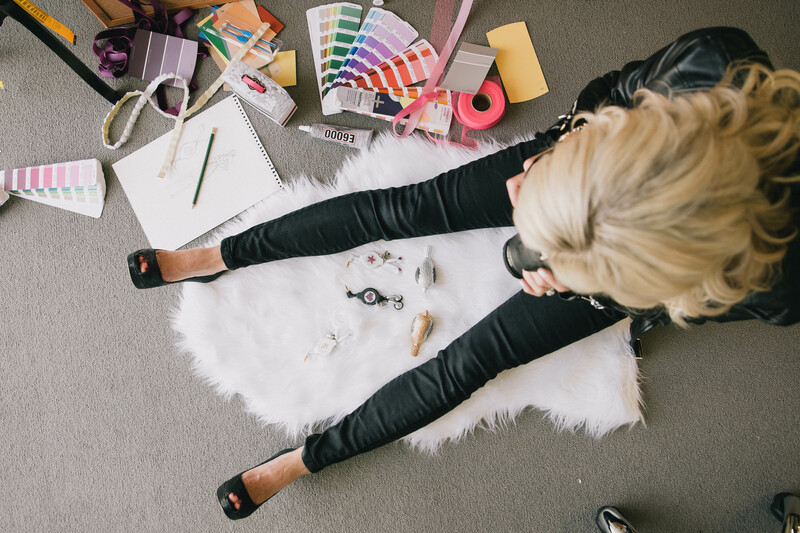 Are you ready to take your retail strategy to the next level? Get in touch with us and learn more about our retail strategy offering. 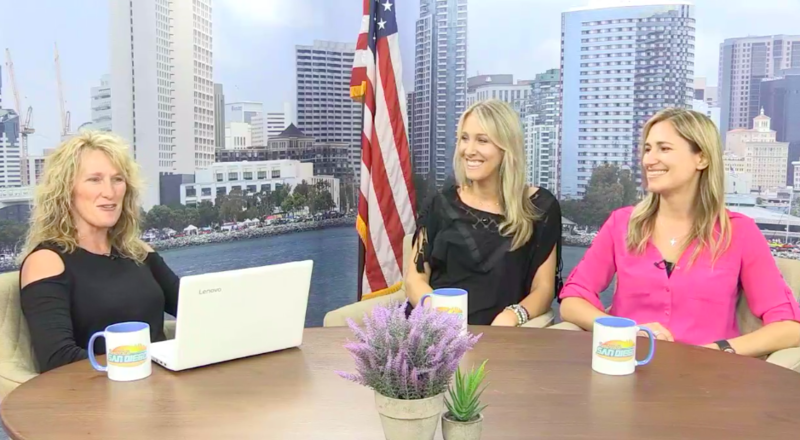 Co-Founder of ChicExecs, Nikki Carlson, discussed why you need storytelling in PR on The Business Woman Media. Are you interested in getting your brand more exposure with a PR campaign? Contact us today! 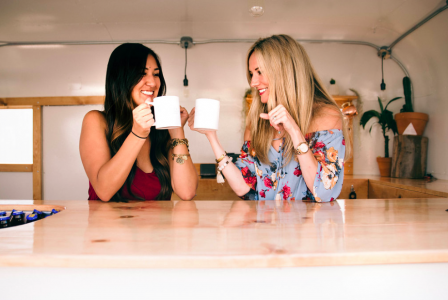 Kristen Wessel, Director of PR & Operations, and Lydia Vargo, Sr. Director of Strategic Accounts, sat down with Real Talk San Marcos to discuss how brands can get their name out there as well as the story behind ChicExecs. Are you interested in bringing your idea to fruition or need advice on getting your brand more exposure? Contact us today! What three traits define you?​ Determined. Independent.​ ​Dependable. 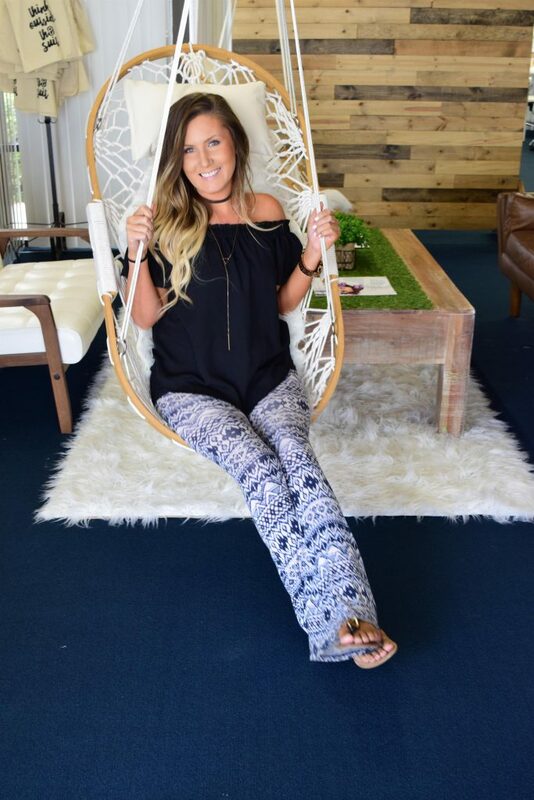 What’s your favorite thing about working at ChicExecs?​ ​I love being able to work with all my amazing co-workers who inspire me to reach my goals each day. 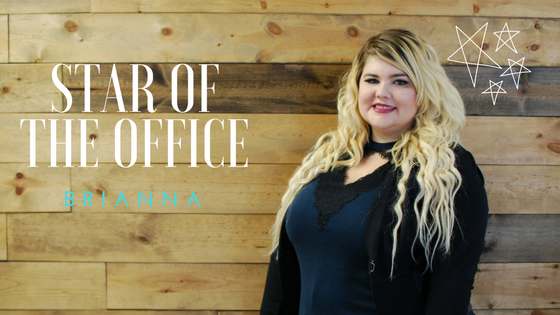 I love collaborating with my boss lady teammates and learning new things each and everyday! Not to mention, I enjoy that not one day is ever the same at ChicExecs. 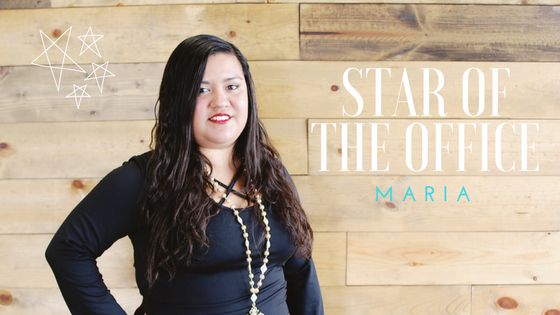 What’s one piece of advice you would give someone just starting at ChicExecs? ​Don’t ever be afraid to express your ideas! The working atmosphere at ChicExecs is​ ​very open and collaborative. We all love to learn from one another! Lastly, tell us something that might surprise us about you. I am a Padres Scholarship recipient, funded by the San Diego Padres team, so I had the opportunity to meet the entire Padres team! 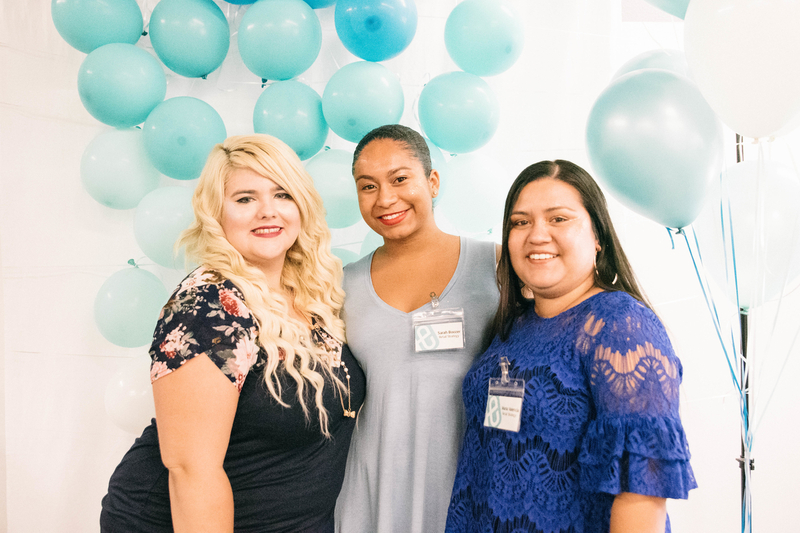 Celebrating our CEO Kailynn’s new bundle of joy with beautiful hues of blue ombre, September’s speed pitching event was a stylish, super fun success! 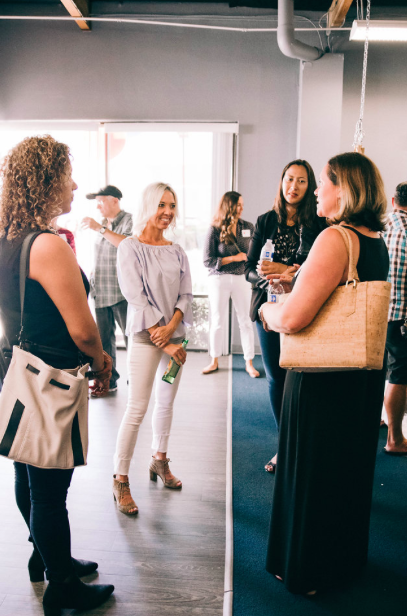 At ChicExecs HQ, the office was filled to the brim as local entrepreneurs connected with buyers, media, and social influencers! 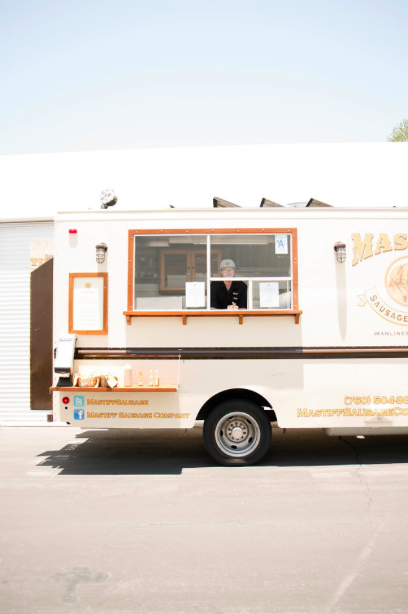 New relationships were born with small businesses as they networked with the best in the bizz. Putting the passion back into pitching, we had so much fun empowering businesses this month. Explore the gallery below to see more of this awesome event! When the ladies of Chic weren’t getting their hair braided or setting up killer decorations for this event, they were diligently timing and helping out with the picture perfect panels! With three different panels for entrepreneurs to pitch to – media, buyers, and influencers – these businesses were set up for success! 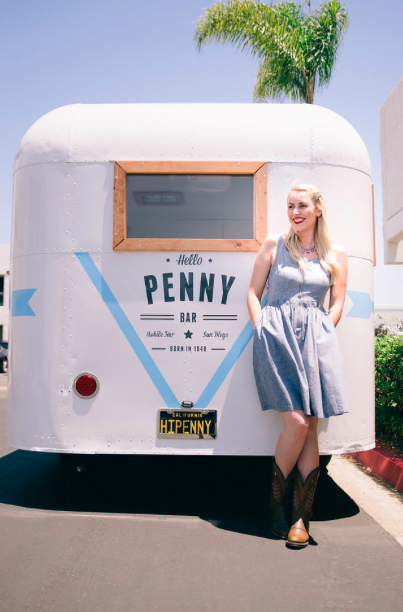 A few of the brands who pitched their passion included baby brand CarriEight, AirFort, Diva Dog, Ghost Scream, Studio Penny Lane, and the delightful jewelry designs from Nomad West! 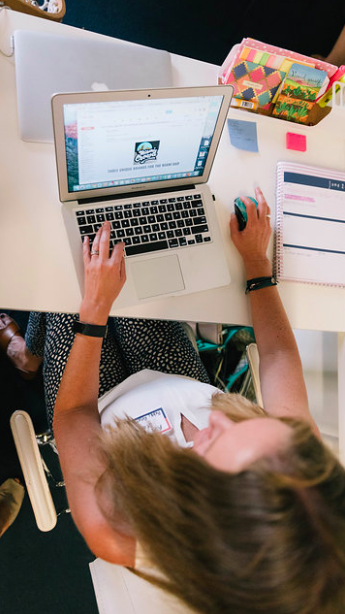 With several brands heading into the Media panel to pitch their business, many learned valuable lessons on building brand identity and how to best be prepared for segments, whether they be on live television or print. 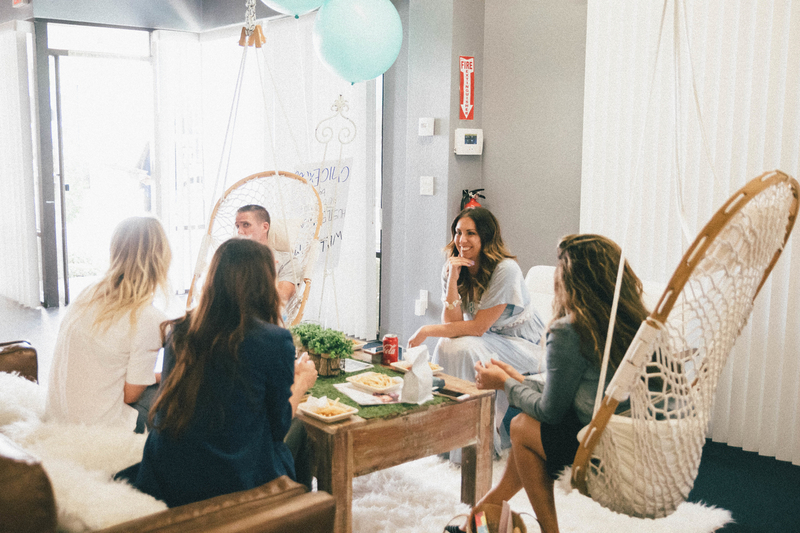 Our Social Influencer panel was able to give the brands that attended insight on the world of influencer marketing. 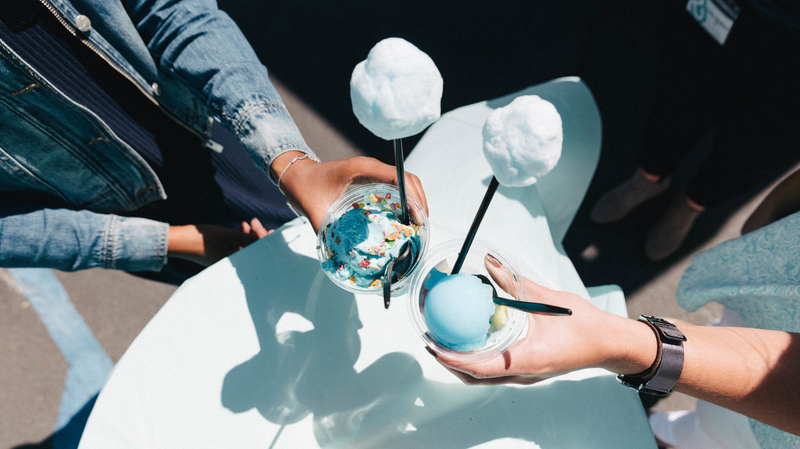 Brands had the opportunity to pitch their product and get feedback from established influencers on how to best navigate the process of choosing an influencer that aligns with their brand’s unique identity and needs. 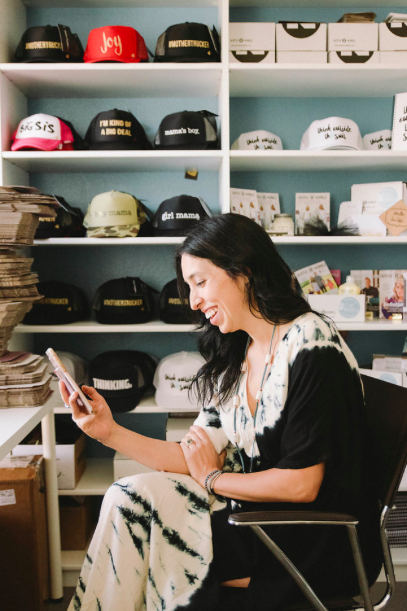 Giving sage advice to brands on what buyers are looking for in the retail industry to keep a competitive edge, small businesses like The Argan Project gained key knowledge to establish a strong brand presence. Thanks to the wonderful Sarah Nicholson from Zulily for bringing her wealth of knowledge to the panel! 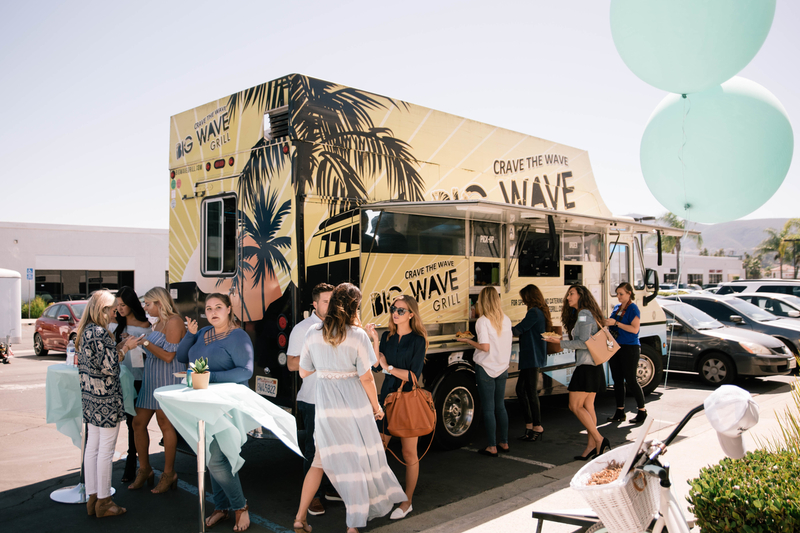 With You Had Me At Cool adding a tasty chill to a hot day and Big Wave Grill providing mouthwatering grub, this event was off to an appetizing start! At Chic, we are all about stepping up our decoration game! With a blue ombre theme for the arrival of our CEO’s tiny treasure, everything had a beautiful, bold and tastefully teal color! It didn’t stop there! 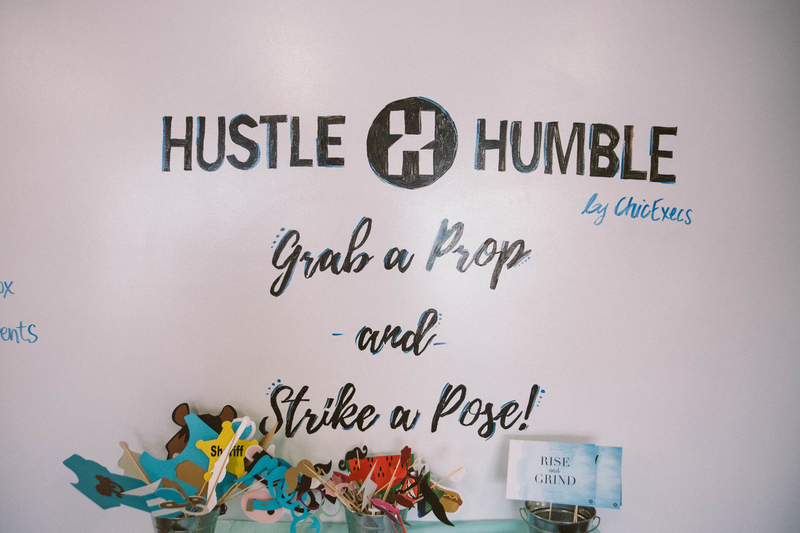 With a braid and glitter bar by Elwynn + Cass for all of the hard-working Chic ladies, a customized photo booth, party favors, and fun outdoor games it’s safe to say everyone had a good time. From all the ladies at ChicExecs, thank you to everyone who came out to this incredibly fun and fab event! Find out more about upcoming events at http://www.chicexecs.com. Literally, my 10-year-old Chow mix Gussie whines in my face until I get up for our morning walk. On a more emotional or motivational level, I would say my fire and empathy gets me up and striving to be stronger and more successful each day. As a writer and avid reader, my happy place is in a bookstore. Being completely surrounded by endless stories and adventures while standing in one place is so magical to me. Books are the best. 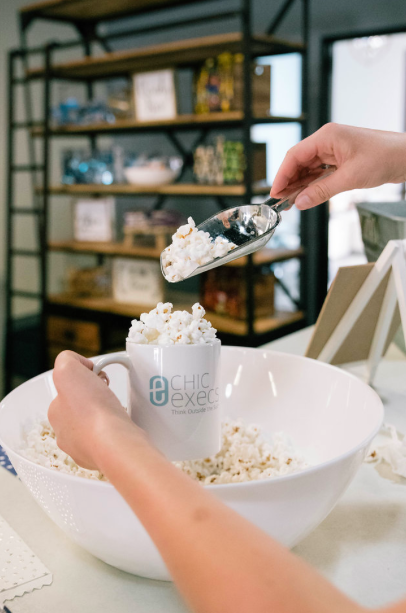 What’s your favorite thing about working at ChicExecs? Working with an incredible, empowering group of women on a daily basis. I’ve worked for several, more corporate, companies in the past and none have the drive and hustle that these ladies put forth. If you could choose anyone, who would you pick as your mentor? Lately, I’ve been falling in love with all of the empowering poetry that lives on Instagram and in print. 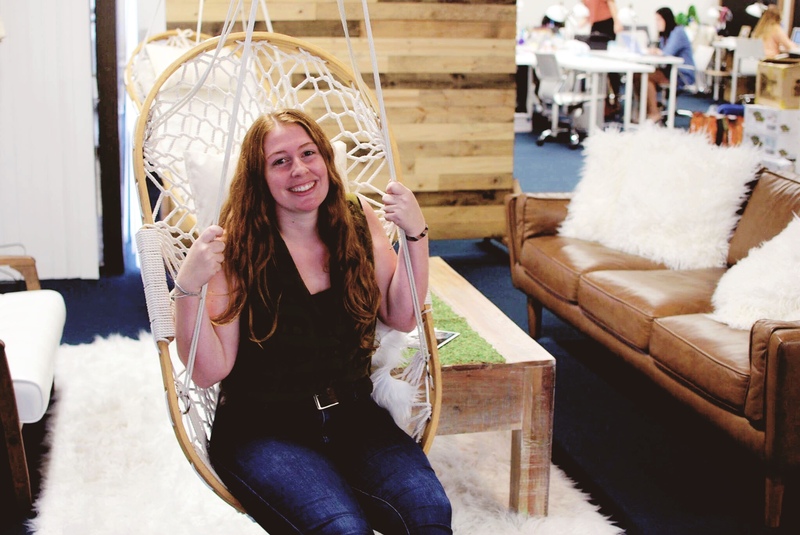 More specifically, I really love Alison Malee – she’s fierce, authentic, and leads with her heart. What more would you want from a mentor? What’s one piece of advice you would give someone just starting at ChicExecs? Know your self worth. Starting out in any new experience – whether it’s a job, school, or relationship – it’s essential to know you are worth what you’ve been given. Take that leap with a combination of self love, motivation, and empathy and you’ll be set for success! My all-time favorite quote from Roald Dahl is something I live each and every day. Or try to! I’m not sure if this counts as something surprising, but I cry during acceptance speeches. Not just Oscar speeches, any acceptance speech. You name it, I’m in tears. 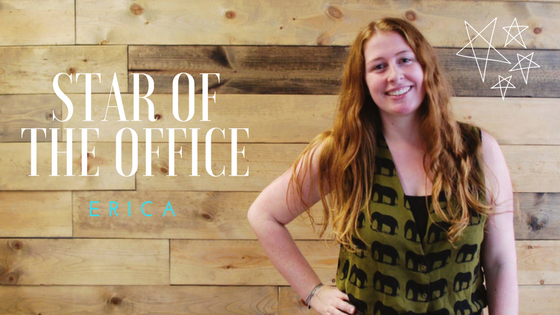 Check back on the blog to see next month’s Star of the Office! 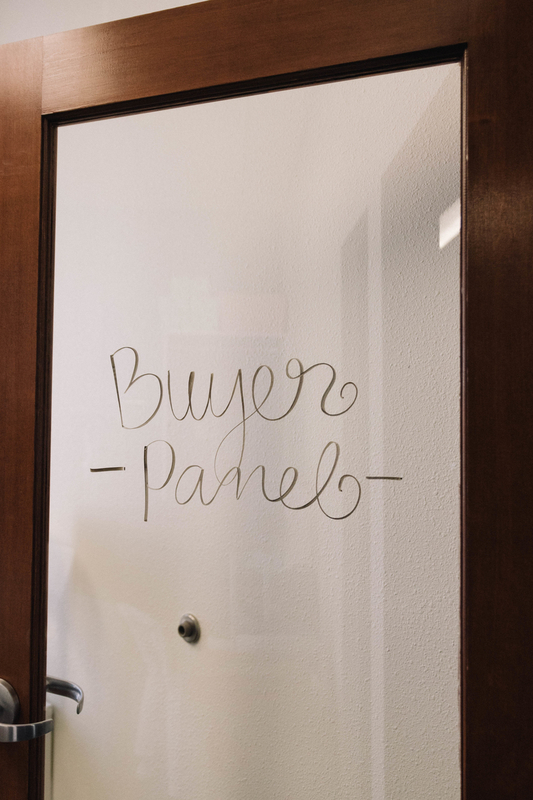 The exposure to upcoming trends and getting to work closely with buyers and designers. I also enjoy when I get to be involved with design and the creative product development process. At ChicExecs I have a tight group of colleagues that I’m lucky enough to call friends. I love the collaborative energy. Everyone brings something to the team. Which makes for a constant learning environment. One of us might help the other become more “creative” while another helps us become more “analytical”. It’s like we all make the complete puzzle and we are continually making one-another stronger. Diane Von Furstenberg – She’s lived an incredible life and is a true inspiration not only in her design but her philanthropic spirit. My real life role model is my Grandma, Linda. She is kind to everyone, strong and loves her family fiercely. 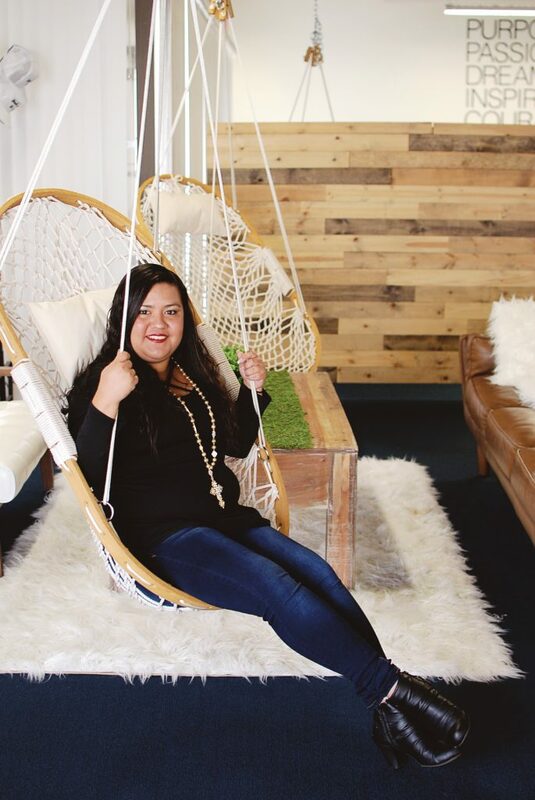 My mom is another role model of a strong, “Girl Boss”. She continues to inspire me daily. Get to know your co-workers. Learning about the different departments will only make you a stronger employee! Be a sponge and learn everything you can! “Give a girl the right pair of shoes and she’ll conquer the world” #Girlpower! In my free time, I like to sketch fashion illustrations and come up with new designs. I enjoy sewing and working on my dress form to create custom dresses. Usually, vintage or POP culture inspired. I facilitated every detail from coming up with the show theme, to selecting the garments and casting the models. 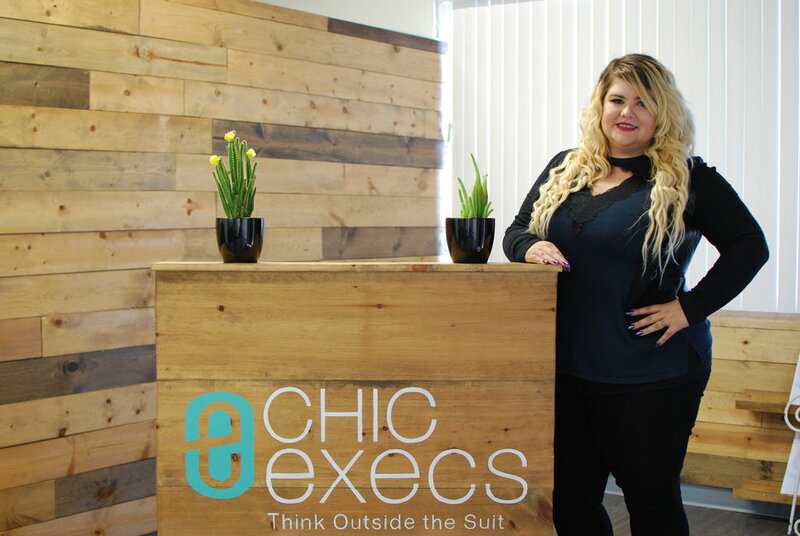 The Women Behind ChicExecs: San Diego Woman Feature! 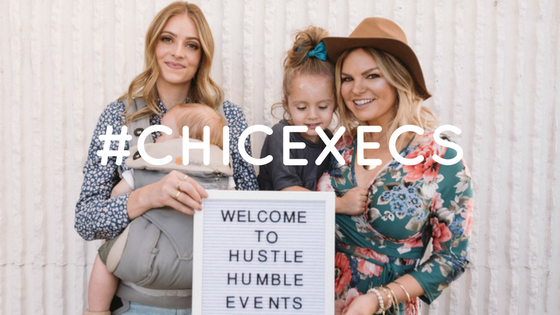 Working twice as hard in their hustle, the ladies behind ChicExecs know a thing or two about building a business from the ground up. 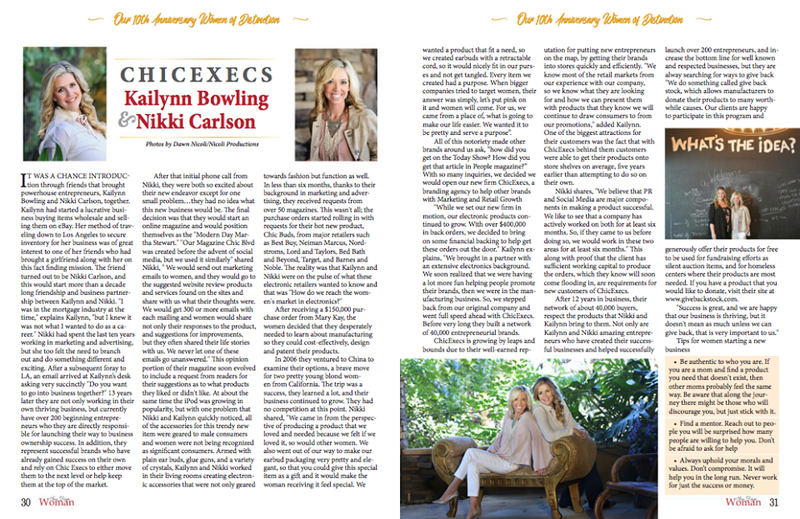 For their 10th Anniversary, San Diego Woman Magazine took some time to chat with Nikki Carlson and Kailynn Bowling on what makes a successful company and how ChicExecs began. Head on over to San Diego Woman Magazine to flip through the pages of this spectacular issue and read the full feature on these fierce females! 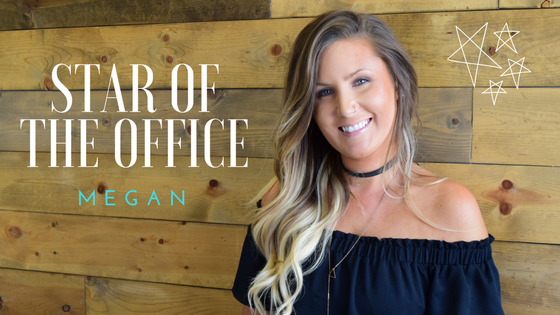 July Star of the Office: Megan! Literally– My dog Layla. She’s not allowed on the bed but sneaks up in the morning and has to lay on my neck. She definitely isn’t aware that her head weighs 20lbs. Figuratively– Everyone I work with, no joke! I’m honestly so inspired just listening and being around all the amazing women I get to surround myself with every day. We all get along so well and are different in so many ways. Not sure how that works so I’ll just say it’s magic- something in the air here, I guess. I’m from Santa Cruz and I’ve been in San Diego for 10 years so I think it’s safe to assume I like the beach. Even if I’m not there every day, there’s a certain comfort in knowing that it’s close. I’m also ALWAYS game for a Petco Park trip to watch the Padres, especially if the Giants are in town! The bond. We are literally all each other’s cheerleaders. It’s such a close-knit group and we all have each other’s backs. Ellen DeGeneres. Because… she’s Ellen. Nuff said. -Make a point to take laps around the office- don’t be scared to make new friends (it’s inevitable- don’t fight it). I was born on Easter so I celebrate my birthday at least twice a year (sometimes 3- my half birthday is a pretty key celebration). We don’t know about you, but we can’t believe July is already half over – where did the summer go? 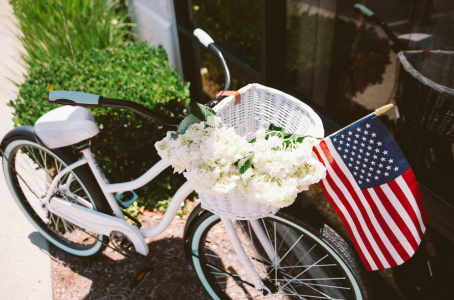 As we head back into reality after the long holiday, we can’t stop talking about our #ChicFourth of July party! 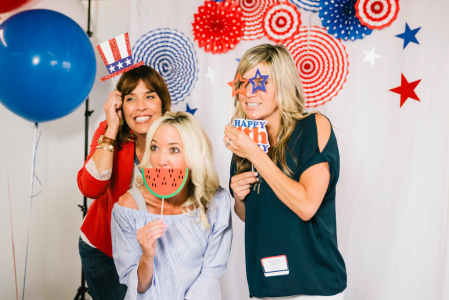 Here at ChicExecs HQ, the office was packed with patriotic pride as we connected local entrepreneurs with media, buyers, and social influencers! We saw the fireworks as up and coming business owners formed new relationships with the latest and greatest in the industry. 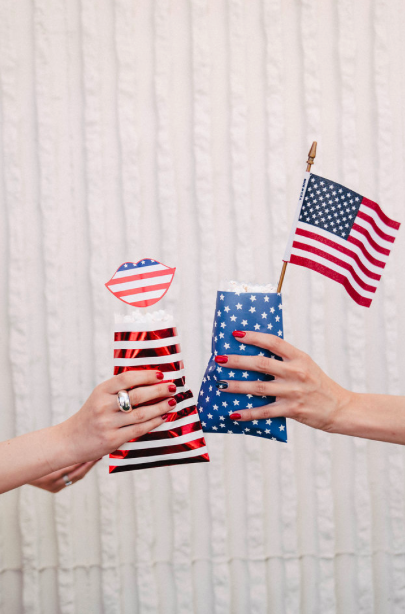 From our friends at Hello Penny serving nice, cold drinks to the mouthwatering Mastiff Sausage Company, it’s safe to say #ChicFourth was stocked up on all things snack. You’re only as delightful as your decorations – dress up accordingly. 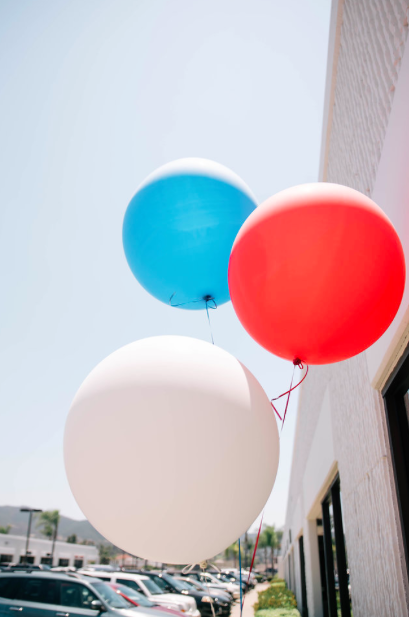 ChicExecs was beaming with Independence Day pride with everything from red, white and blue themed party favors, outdoor fun, and a patriotic Photo Booth! While everyone was having fun in the sun – here at ChicExecs we know the work never stops. 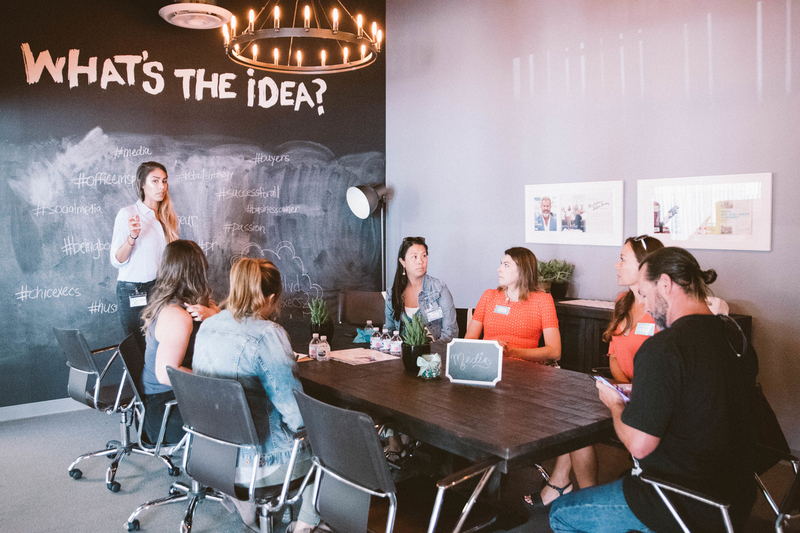 Media, buyers, and social influencers connected with local entrepreneurs as they pitched their new business ideas! If you look closely, you might even see some of our ultra talented Chic ladies enjoying the party while they network. 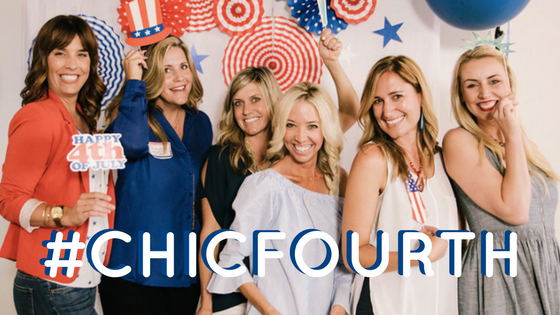 Proud to be Americans – and to help bring entrepreneurs together with media, buyers, and social influencers – all the ladies here at ChicExecs had a happy #ChicFourth!